Facebook CEO Mark Zuckerberg says that his company made mistakes in how it handled data belonging to 50 million of its users and promised tougher steps to restrict developers' access to such information. The world's largest social media network is facing growing government scrutiny in Europe and the United States about a whistleblower's allegations that London-based political consultancy Cambridge Analytica improperly accessed user information to build profiles on American voters which were later used to help elect U.S. President Donald Trump in 2016. Zuckerberg, in his first public comments since the scandal erupted at the weekend, said in a post on Facebook that the company "made mistakes, there's more to do, and we need to step up and do it." He did not elaborate on what the mistakes were, but he said the social network plans to conduct an investigation of apps on its platform, restrict developer access to data, and give members a tool that lets them more easily disable access to their Facebook data. He did not explicitly apologize for the improper use of data, and his plans did not represent a big reduction of advertisers' ability to use Facebook data, which is the company's lifeblood. 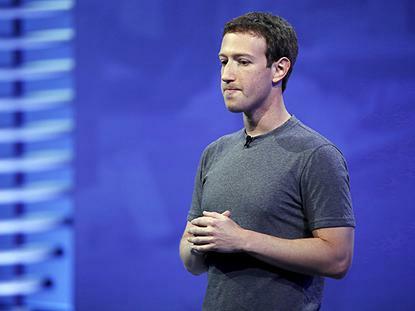 Facebook shares pared gains on Wednesday after Zuckerberg's post, closing up 0.7 percent. The company has lost more than US$45 billion of its stock market value over the past three days on investor fears that any failure by big tech firms to protect personal data could deter advertisers and users and invite tougher regulation. Facebook representatives including Deputy Chief Privacy Officer Rob Sherman met U.S. congressional staff for nearly two hours on Wednesday and planned to continue meetings on Capitol Hill on Thursday. Facebook was unable to answer many questions, two aides who attended the briefing said. The whistleblower who launched the scandal, Christopher Wylie, formerly of Cambridge Analytica, said in a tweet that he had accepted invitations to testify before U.S. and UK lawmakers. On Tuesday, the board of Cambridge Analytica suspended its chief executive Alexander Nix, who was caught in a secret recording boasting that his company played a decisive role in Trump's victory. But the academic who provided the data disputed that on Wednesday. "I think what Cambridge Analytica has tried to sell is magic, and they've made claims that this is incredibly accurate and it tells you everything there is to tell about you. But I think the reality is it's not that," psychologist Aleksandr Kogan, an academic at Cambridge University, told the BBC in an interview broadcast on Wednesday. Kogan, who gathered the data by running a survey app on Facebook, also said that he was being made a scapegoat by Facebook and Cambridge Analytica. Both companies have blamed Kogan for alleged data misuse. Only 300,000 Facebook users responded to Kogan's quiz, but that gave the researcher access to those people’s Facebook friends as well, who had not agreed to share information, producing details on 50 million users. Facebook has said it subsequently made changes that prevent people from sharing data about friends, and maintains that no data breach occurred because the original users gave permission. Critics say that it essentially was a breach because data of unsuspecting friends was taken. Facebook banned Cambridge Analytica from using any of Facebook's services on Friday. Zuckerberg said the company "will restrict developers' data access even further to prevent other kinds of abuse" and that the company is working with regulators as they investigate what happened. Many analysts have now raised concerns that the incident will have a negative impact on user engagement with Facebook, potentially reducing its clout with advertisers. Three Wall Street brokerages cut their price targets. "Investors now have to consider whether or not the company will conclude that it has grown in a manner that has proven to be untenable or whether it needs to significantly improve how it is managed," said Pivotal Research Group analyst Brian Wieser. Facebook shares are down more than 8 percent since Friday. The company has risen more than 550 percent in value in the past five years.